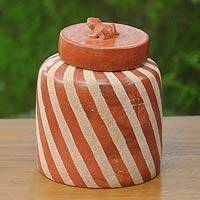 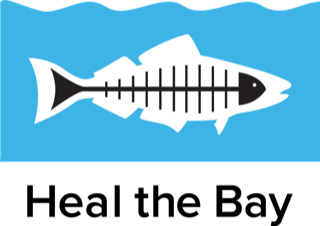 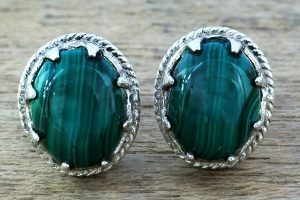 Size: 0.3" H x 1.1" Diam. 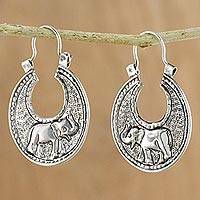 I got these earrings for my self and my daughter love them so much. 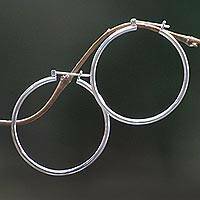 So I got her some for her birthday. 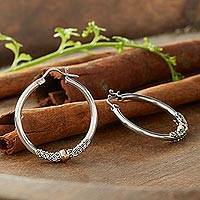 Handcrafted Karen Silver Hoop Earrings from Thailand, "Karen Fan"
Bubble-Shaped Sterling Silver Hoop Earrings from Mexico, "Appealing Bubbles"
Tribal Style Sterling Silver Hoop Earrings from Bali, "Tribal Fire"
In this design from Nyoman Rena, stylized flames extend out from a triangular hoop detailed with dot motifs. 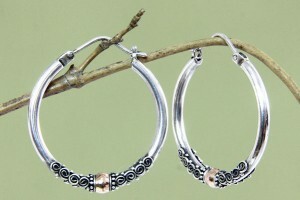 The sterling silver hoop earrings have a unique tribal look. 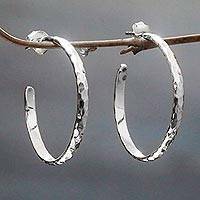 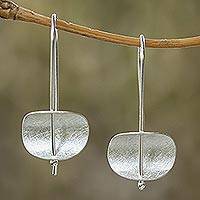 Artisan Crafted Sterling Silver Balinese Hoop Earrings, "Life's Journey"
Hoop earrings have long been included in women's and men's jewelry, a custom that persists to this day. 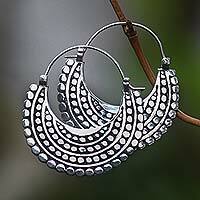 A favorite of many cultures, the hoop earring can be shaped as a circle or half a circle. 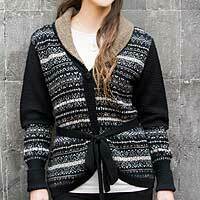 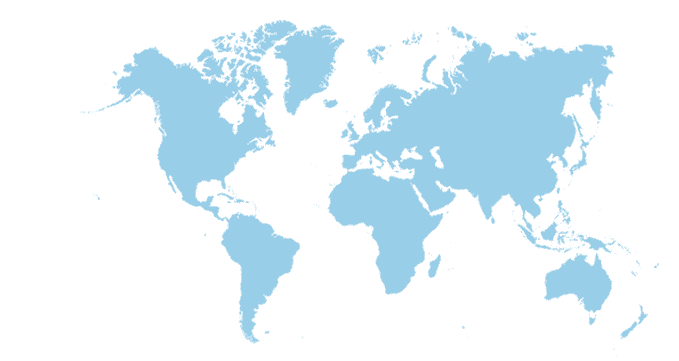 Styles range from the classic to the modern and themes range from natural to urban. 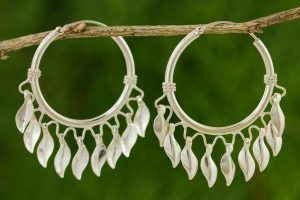 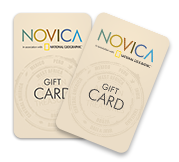 Explore the hoop earrings collection that Novica has assembled – and keeps adding to – by designers and silversmiths around the world. 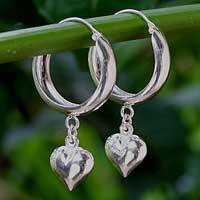 Silver hoop earrings can be luminous and smooth, or engraved with the artistic stylization of a designer's homeland. 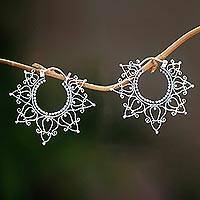 These handcrafted earrings are to be admired for their intricate details. 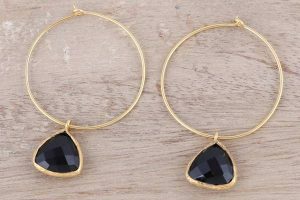 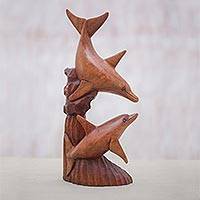 Styles are as varied as can be: the hoop can dangle on its own or be shaped as anything other than a circle, including a square, a dolphin or a swan. 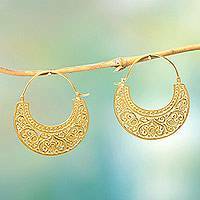 It can hold cascading gems that become waterfall or chandelier earrings, and it can highlight the colorful iridescence of a pearl balancing it with a beautiful pearl bracelet. 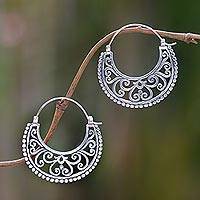 Novica's collection of hoop earrings is designed to accessorize with style and elegance.